The staff of iAt surveyed some of our readers to share one influential book they have read this year. The books chosen covered a wide range of subjects, authors, and writing styles, but all have made a difference in the lives of readers somehow. Here are the top 25 influential books for the year. What book influenced your life this year? The processed food industry in the U.S. accounts for $1 trillion a year in sales, and the total economic cost of this health crisis is approaching $300 billion a year. In this book the author explores his theory that the food industry has used these three essential ingredients to control much of the world’s diet. He traces the rise of the processed food industry and deliberate corporate practices behind current trends in obesity, diabetes, and other health challenges. 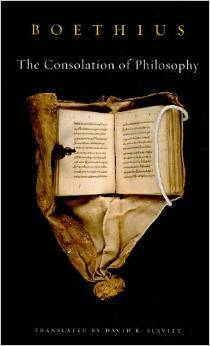 Written in prison before his brutal execution in AD 524, Boethius’s The Consolation of Philosophy is a conversation between the ailing prisoner and his ‘nurse’ Philosophy, whose instruction restores him to health and brings him to enlightenment. Although a Christian, it was to the pagan Greek philosophers that he turned for inspiration following his abrupt fall from grace. With great clarity of thought and philosophical brilliance, Boethius adopted the classical model of the dialogue to debate the vagaries of Fortune, and to explore the nature of happiness, good and evil, fate and free will. In The Legacy Journey, New York Times bestselling author Dave Ramsey takes you deep into God’s Word, revealing His perspective on wealth, your personal and family legacy, and how He wants to use you to further His kingdom work around the world. You can truly live–and leave–a legacy. The journey starts today. The Bible is our collection of sacred and inspired writings of God, made up of the Old and New Testaments. The Bible tells us of God’s plan for the world and his son Jesus, who came to save us. Moberly offers an in-depth study of key Old Testament passages, highlighting enduring issues in Hebrew Bible interpretation and discussing Jewish readings alongside Christian readings. The volume is representative of the content of Israel’s scriptures rather than comprehensive, yet it discusses most of the major topics of Old Testament theology. Moberly is attentive to varying ways of reading Israel’s scriptures throughout history and to contemporary challenges in appropriating the content of the Old Testament. He demonstrates a Christian approach to reading the Old Testament that holds together the priorities of both scholarship and faith. To be unstoppable, you keep going when everyone else is giving up; you thrive under pressure; you never let your emotions make you weak. Grover details the essential traits shared by the most intense competitors and achievers in sports, business, and all walks of life. He shows you how even the best get better– and how you can too. In this thoughtful and timely book, Derek Schuurman provides a brief theology of technology, rooted in the Reformed tradition and oriented around the grand themes of creation, fall, redemption and new creation. He combines a concise, accessible style with penetrating cultural and theological analysis. Building on the work of Jacques Ellul, Marshall McLuhan and Neil Postman, and drawing from a wide range of Reformed thinkers, Schuurman situates computer technology within the big picture of the biblical story. Many of us stumbled into Jesus and discovered the one we’d been searching for all our lives, whether we knew it or not. He told us everything was going to be alright. He was a best friend who whispered that he loved us to the exact extent his father loved him. He saw everything we did yet refused to condemn us ever. He was an incredibly powerful and supernatural God who could actually change the outcome of our horror into beauty. An outline for a clear, balanced, sustainable plan to change eating habits forever. Over the last three years, the Hartwigs’ underground Whole30 program has quietly led tens of thousands of people to weight loss, improved quality of life and a healthier relationship with food. The basketball player, coach, and ESPN analyst examines his life and career through the prism of toughness, which he explains comes from discipline, a team-oriented mind-set, and belief in oneself. Learn leadership from the best-proven insights from the power elite in business, government, and beyond View from the Top brings readers inside the corridors of power and relates the personal stories and powerful findings from the Platinum Study, a groundbreaking study of 550 elite American CEOs, senior government leaders, and nonprofit executives based on ten years of research. The largest study of its kind, the Platinum Study delves into the domains of the elite with stories that illustrate both the use and misuse of power across the landscape of prominent American institutions. 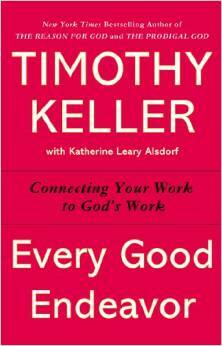 Keller shows how excellence, integrity, discipline, creativity, and passion in the workplace can help others and even be considered acts of worship–not just of self-interest. Two leadership consultants identify three keys to being a more effective leader: knowing your strengths and investing in others’ strengths, getting people with the right strengths on your team, and understanding and meeting the four basic needs of those who look to you for leadership. In this book, Buchanan argues that it is crucial for Christians to restore the reverence and symbolism of the Sabbath in order to reconnect with God and rebuild their faith. In this book, the author, a doctor and writer, presents the simple rules everyone should follow in order to live a long, healthy, and productive life. In his previous book, The End of Illness, he shared what he had learned from his work as one of today’s most prominent cancer doctors and researchers, revealing the risks he takes in a field begging for innovations that can prolong not only the lives of cancer patients but the lives of everyday people. The Book of the New Sun is a series of four science fantasy novels or one four-volume novel by the American author Gene Wolfe. Alternatively, it is a series comprising the original tetralogy, a 1983 collection of essays, and a 1987 sequel. The tetralogy chronicles the journey of Severian, a disgraced journeyman torturer who is exiled and forced to travel to Thrax and beyond. It is a first-person narrative, ostensibly translated by Wolfe into contemporary English, set in the distant future when the Sun has dimmed and Earth is cooler. Why is it that many Christians find a theological-scientific debate about creation’s ancient origins far more engaging than a speech about how to live responsibly in the creation today? Are we more fascinated by academic debates that focus our gaze on what happened long ago than by the hands-on discussions that focus our gaze on the world of wonders outside our windows right now? In Remember Creation, Scott Hoezee challenges readers to make today’s world more central to the Christian faith by enjoying and preserving God’s cosmos as a part of daily discipleship. Dr. Chapman explains how people communicate love in different ways, and shares the wonderful things that happen when men and women learn to speak each other’s language. This book collects the author’s essays that call for peace and justice from a Christian perspective. 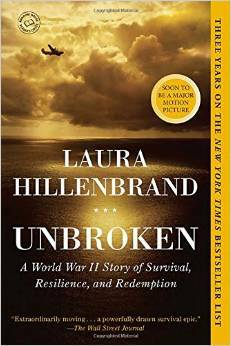 In the aftermath of World War II, the United States stood at a precipice. The forces of modernity unleashed by the war had led to astonishing advances in daily life, but technology and mass culture also threatened to erode the country’s traditional moral character. Wangerin “weaves the history of the early church and its greatest apostle into a powerful epic” through his commentary on Paul. udging, comparing, faking, splintering. Some of us retreated from the whole charade, becoming cynical, mistrusting, jaded from hope. 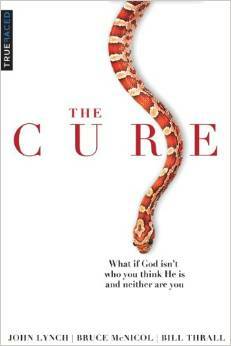 Our marriages, churches, families, friendships, our marketplaces, our culture they all need the cure. But God’s cures rarely come in the form we expect. What if God is not who we think he is and neither are we? Kevin DeYoung addresses the busyness problem head on in his newest book, Crazy Busy–and not with the typical arsenal of time management tips, but rather with the biblical tools we need to get to the source of the issue and pull the problem out by the roots. 25. The Boy on the Wooden Box by Leon Leyson. This, the only memoir published by a former Schindler’s List child, perfectly captures the innocence of a small boy who goes through the unthinkable. Most notable is the lack of rancor, the lack of venom, and the abundance of dignity in Mr. Leyson’s telling. The Boy on the Wooden Box is a legacy of hope, a memoir unlike anything you’ve ever read. What book influenced you this year? Share by leaving a comment. Meagan De Graaf is a freshman English: Writing major at Dordt College. She is from Wyoming, MI.